The first time you considered vaping, you were probably turned off at the idea. 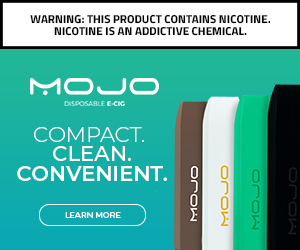 Purchase a big mod plus batteries, juice, tank…and let’s not even get into the coils. What if there was a simple device just to curb the nicotine cravings without having to spend over $100 at once. That’s where Mojo comes into play. These tiny devices are designed to be easy to use, whether you’re an experienced vaper or just looking for a change away from cigarettes. Open the box, rip open the bag, remove the protective stickers, and start vaping. When it’s done, you recycle the device and go with a new one. 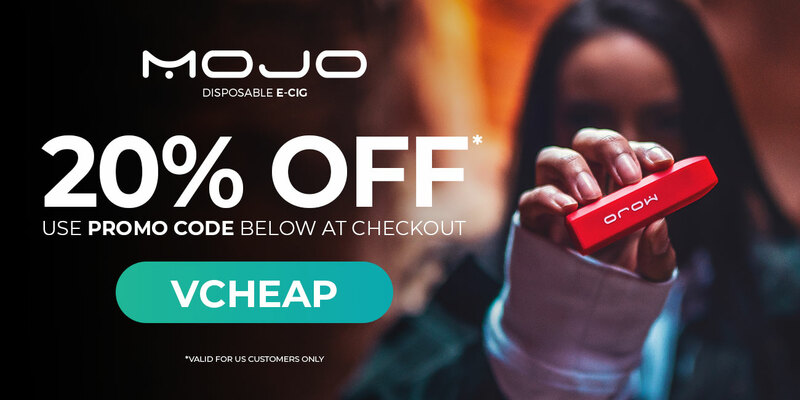 Use the banner below to check out Mojo Disposable E-cig. Check out the “How to Recycle” link to find out where you can take this when you’re done (and perhaps some of your used Lithium Ion batteries as well). Use the code “VCHEAP” for 20% off and support this website at the same time! Previous Previous post: No. 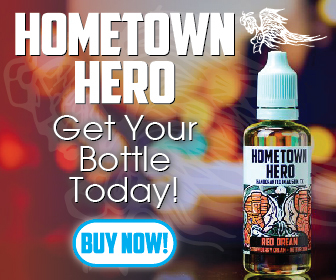 32 (Regular and Salt Nic available) by Beard Vape Co.